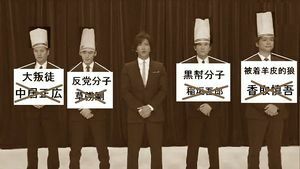 It broak the revolt of SMAP. SMAP was sure to go. To see a move of SMAP. But still Kimura lingered near. with Mary so, with Mary so? Why does SMAP stay with Mary so?